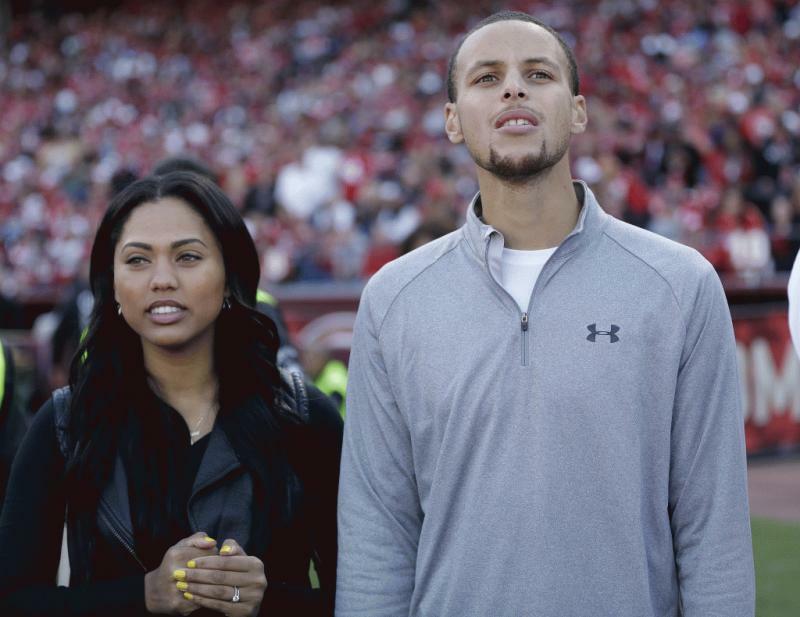 Los Angeles, CA, United States (4E) – The Golden State Warriors star player Stephen Curry and his wife Ayesha curry are already parents to two children, namely Riley and Ryan, but they are reportedly planning to add another family member. The NBA power couple has their hands full with their two children but a source claims that the two would like to have a son in the future. The 28-year-old Golden State Warriors star and his 27-year-old wife are reportedly still looking to grow their brood. An insider shared, “Steph and Ayesha would love a son and will try again for another child in the future, but their hands are pretty full right now with the girls.” However, the insider pointed out that although there are plans of having a third child, it is not going to happen anytime soon. The insider continued to reveal that a third child is “in the cards and wanted” and they would always talk about it often. The insider also said, “But those decisions are a little down the road because they are enjoying their time with the girls right now and he is worrying about winning the championship next year!” NBA is off-season right now and it seems that Stephen is working double time in order to win the championship for the 2016-2017 season. Last season, the Golden State Warriors went against the Cleveland Cavaliers and Stephen had a great play trying to win the championship. Fans also got to see more of his four-year-old daughter, Riley. She has been cheering for her dad on the courtside and has appeared in press conferences. In fact, Stephen promised Riley that she could talk to the media if Golden State Warriors won. As for their baby Ryan, the couple had her just over a year ago so it might be too early for the Curry family to be planning to have another baby as part of their family.